2 DOWN FOR ILAYATHALAPATHY VIJAY! Around 60 days of shooting has been completed for Vijay 60 till now which included two songs too. The team has been canning a few important scenes in the outskirts of Chennai in places like Oragadam since last week. They are expected to be shooting in Chennai till the end of this month before heading to Rajahmundry, Andhra Pradesh by the 13th of September where they are expected to camp for 3 to 4 days. Vijay would like to keep up the Theri momentum going with this rural action flick. We hear that the film will not be completely based out of a rural set up. 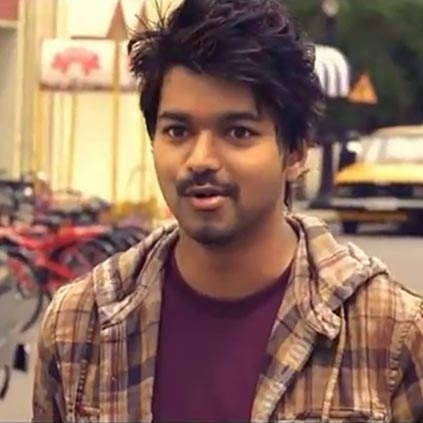 Keerthy Suresh plays a college student and Vijay is expected to share a few scenes with her in a city based backdrop. With the makers quashing rumors about Enga Veetu Pillai title, Vijay fans are eager to find out the title of Vijay 60. Vijay 60 Titled As Enga Veettu Pillai? Is Nivetha Pethuraj Part Of Vijay 60?